Protective Gloves for Occupational Use provides state-of-the-art information on glove materials, the manufacture of gloves, how to perform testing of gloves, and glove performance according to standardized technical methods in vivo. Protective Gloves for Occupational Use offers a wealth of information on protective glove material technology, protective effects, and adverse medical effects. 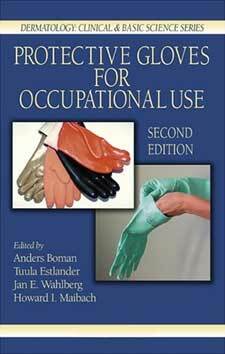 It provides guidance on how to select gloves to prevent skin contamination from chemical and microbial exposure in the occupational environment and presents hard to find information in one easy-to-use resource.